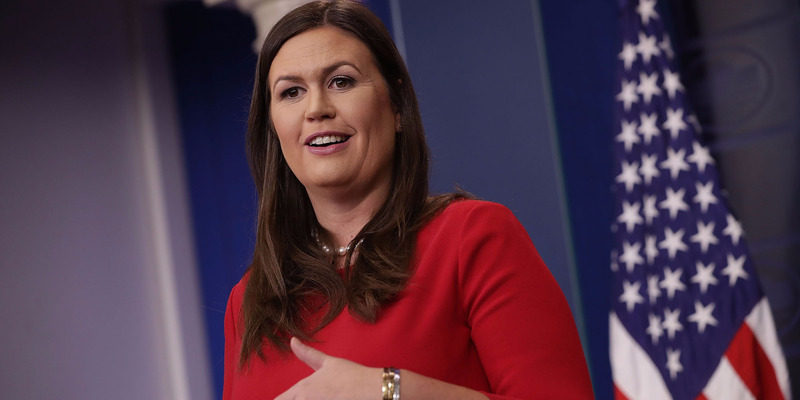 Sarah Huckabee Sanders told a story about tax cuts and a beer tab during Monday’s White House press briefing. White House press secretary Sarah Huckabee Sanders kicked off Monday’s press briefing with a story about a bar tab to try to explain who would benefit from the plan. The Republican tax reform framework has been criticised after a Tax Policy Center analysis showed that 80% of its benefits would end up with the top 1% of income earners in the US. During the briefing, Sanders said the story has been “floating around the internet for a while” before launching into the story. According to Snopes, the story has been passed around for nearly two decades and been attributed to a variety of economics professors. The beer iteration Sanders read appears most similar to a version of the story from the conservative-leaning Independent Journal Review in 2014, which was attributed to “David R. Kamerschen, Ph.D. — Professor of Economics.” However, according to Snopes, Kamerschen denies being its original source.